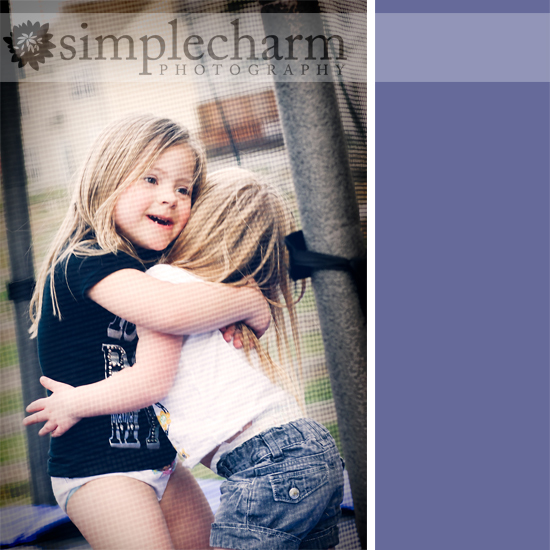 our perfectly imperfect life: Best friends they are. Just 17 months ago, our family adopted a Russian orphan. 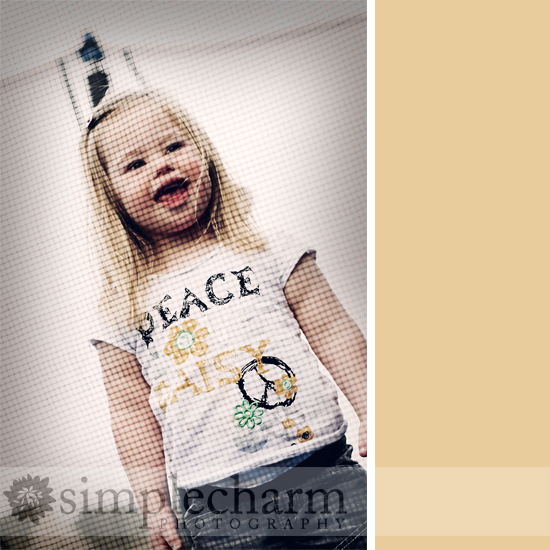 A little girl that had no family ... no mommy, daddy or siblings to call her own. A little girl the baby home caregivers and other orphans referred to as Nika. A little girl we named Addison. Going into our adoption, I think the thing I was most excited about was the bond that I hoped Payton and Addison would have. 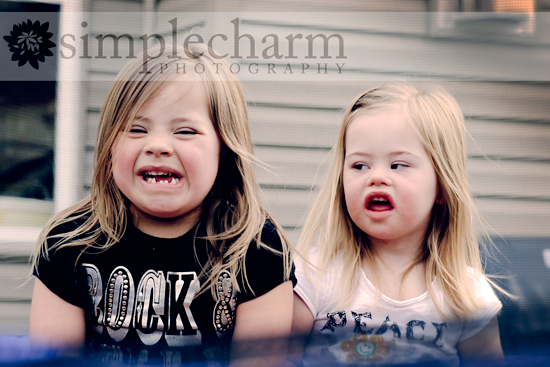 Sisters ... nine months apart, both sporting an extra chromosome, best friends for life. When Addison came home, things were not the fairytale I had dreamed about. Payton was in love with her new sister, however the feelings were not necessarily returned. And that broke a momma's heart. 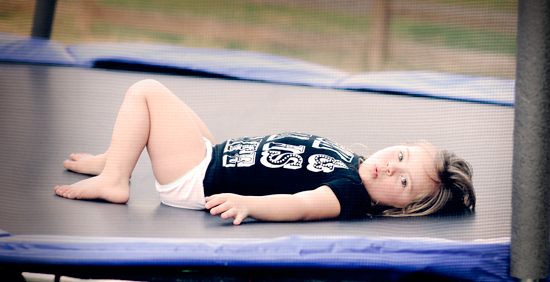 I soon came to realize that Addison had spent her life in fight or flight mode when it came to other kids. If she didn't fight for her toy, she'd lose it. If she didn't fight for the food placed in front of her, she'd lose it. That was how she coped and the last thing she wanted was her doting little momma-of-a-sister in her face all the time. She cried. She turned her back. She wanted Payton to leave her alone. But one day ... one day she decided it might not be so bad to have a sister that loved her. And she gave in. Today ... they are the best of friends. Well ... most days they are. Payton is still the doting little momma-of-a-sister that Addison does not necessarily care to have. But we work our way through Addison's tears of frustration, tell Payton to back off and we move on. Sisters they are. Best friends they are. As you know, sisters are the best! So glad they have each other! So happy for both of them! Sisters Forever!!! 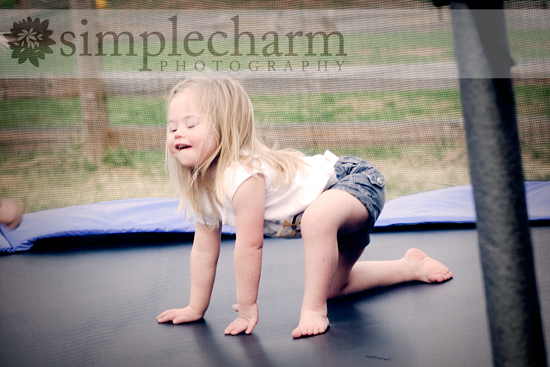 I am so happy for you and your decision to give a wonderful home to such a beautiful little girl. She is a lucky lil girl!! Precious photos. You wouldn't know it from the photos that they aren't birth sisters. They look sooo much alike. I hope they remain BFF/sisters forever. 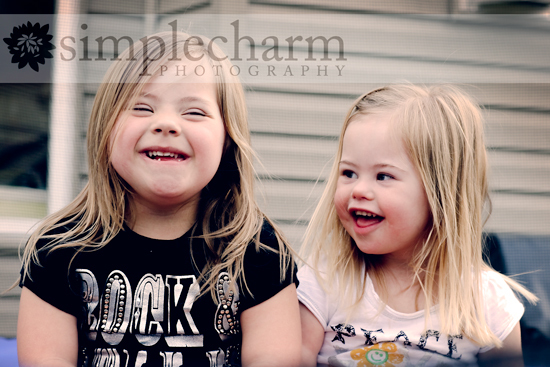 I love it, photos, their story, and the fact that Sisters ROCK! So blessed they are and so very blessed YOU are!Look at them?They really are amazing. So adorable- great synopsis of their story of falling in love as sisters :) Love them! What a great post! They are so lucky to have you as their mom too! Sisters, best friends and an wonderful brother too! beautiful post! it must be so special to watch the bond between them develop. So sweet! They are so lucky to have eachother!!! Their shirts are super cute too!! I LOVE this Bethany! Thank you for sharing. I just adore your family! you know you brought tears to my eyes. i love that they are sisters and share a special bond! beautiful!!! I am so happy that Nika has come around with Payton and has realized she does not have to be in fight or flight mode with her FAMILY :) BEAUTIFUL pictures!!!!!! Its so awesome to have a sister!!! I LOVE the pictures!!! Bethany,this brought tears to my eyes what a beautiful bond the girls share with one another. They are soooo beautiful...how lucky are you to be their Mom!! Love Em'! Love the pics - Bethany they are sooooo beautiful! Sisters are the best-est friends to have - unconditional love. ok, so i officially feel like a stalker! I am currently on the IVF Yahoo group which is where i found your blog! I am totally and utterly in awe of your family and have been inspired in so many ways. You have an absolute gorgeous family and those 2 girls of yours....adorable! Just got a BFP on my beta so i will be checking out that store of yours very soon! <3 So sweet. I see the same thing in my girls...so glad they have each other. so sweet! I love that they are so close in age and look so much alike and now have a friendship to share too! HOw lucky you all are to have eachother! Seeing the love of sisters is so great! Oh... LOVE this! Very sweet! Your pictures are so cute - the girls are adorable. Having a sister is a joy... most of the time haha. I'm new to your blog! I really enjoy it. Your stories are so touching and the kids are beautiful! Enjoying a Saturday afternoon of blog hopping and all the Easter posts. I'm a new blog follower and I am already in love your your girls! They are precious and they will love being sisters forever!! :) What a sweet post!